The need for independent evaluation or market conditions vs. current pricing can often be taken for granted in established markets. The usual assumption is that the market is self-correcting and suppliers that are overcharging or inflating the cost of their products will be forced to lower prices due to competition or go out of business. This is certainly the case in established commodity markets where consumers can clearly identify the main criteria distinguishing each product, there is a large range of suppliers to choose from, and margins are low. However, in the electronics, medical, or other niche markets claims of innovation, uniqueness, and efficacy overshadow competition and pricing is not kept in check. The most vivid example of over inflated market pricing can be seen in the pharmaceutical space, as recently described on Medscape. As summarized in the table below, the annual cost of cancer treatments is by far the highest in the US and can be exemplified by the price tag of $125K for Brentuximab and $264K for Pegylated asparaginase. A further complication arises when we consider the price of pharmaceuticals on a global scale. As described in reports presented by IMS Health and the Center for Economic and Policy Research. 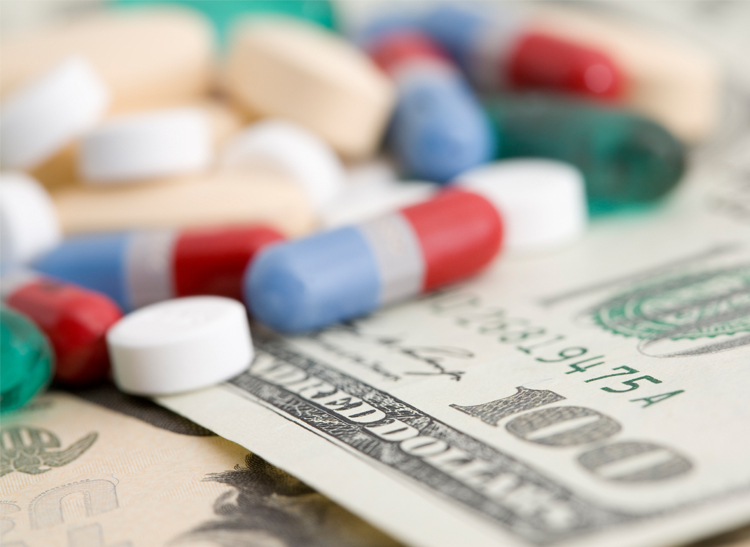 The drivers of high drug prices can vary from initial R&D costs, failure of other drugs during the company’s development or clinical trial phases, high manufacturing costs, or a standard industry practice of high markup. Certainly higher R&D costs can be warranted by arguments of novel treatments for serious ailments without remedies. However, according to Hagop M. Kantarjian, MD, professor and chair of the Department of Leukemia at the University of Texas M.D. indirect costs and failed initiatives are often bundled with actual R&D costs in order to justify spend as high as $1.3 Billion. The reported spend can be traced to the total expenditure on all drugs by the company divided by the drugs which actually received FDA approval. Post approval process manufacturing costs are frequently offset with contract manufacturing agreements. High quality at the lowest price is a very successful practice of the industry and speaks volumes where generics are concerned, so this factor should not unproportionately impact the cost of newly developed drugs. Perhaps it’s the high markup that can be most clearly felt by the patient in the US. The annual spend per person in the US in nearly triple when compared to Denmark. According to Leigh Purvis, director of health research at the Public Policy Institute at AARP high prices in the US result from a lack of effective negotiations with pharmaceutical companies. The US lacks a central healthcare system or agency that can regulate across the board costs and perform comparisons of drugs that are already on the market to prevent high prices for functionally similar products post approval. Although, lower prices in Europe and Canada do come with the tradeoff of restrictions on new and expensive medications. Insurers also play a role in negotiations, but certainly their main objective is not consumer protection. This is felt by patients in both lack of coverage and pass-through costs. Reducing the high cost of pharmaceuticals is achievable, but the process demands the attention and vigilance of the consumer and government agencies alike. Basing pharmaceutical prices on effectiveness, and the refusal to use a drug when it’s overpriced have proven to be the two basic but successful tools in past cases. However, continued improvement is a slow process and exceptions can’t be discounted if a compromise is to be made between cost and availability.